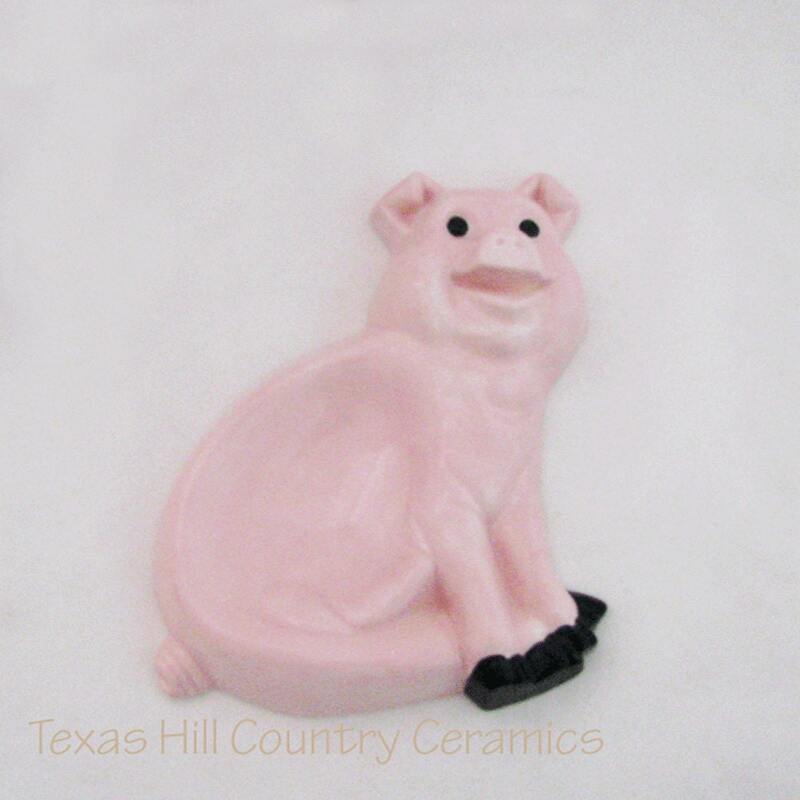 Ceramic sitting pink pig ceramic spoon rest is generous in size and is happy to hold your kitchen spoons or cooking utensils. 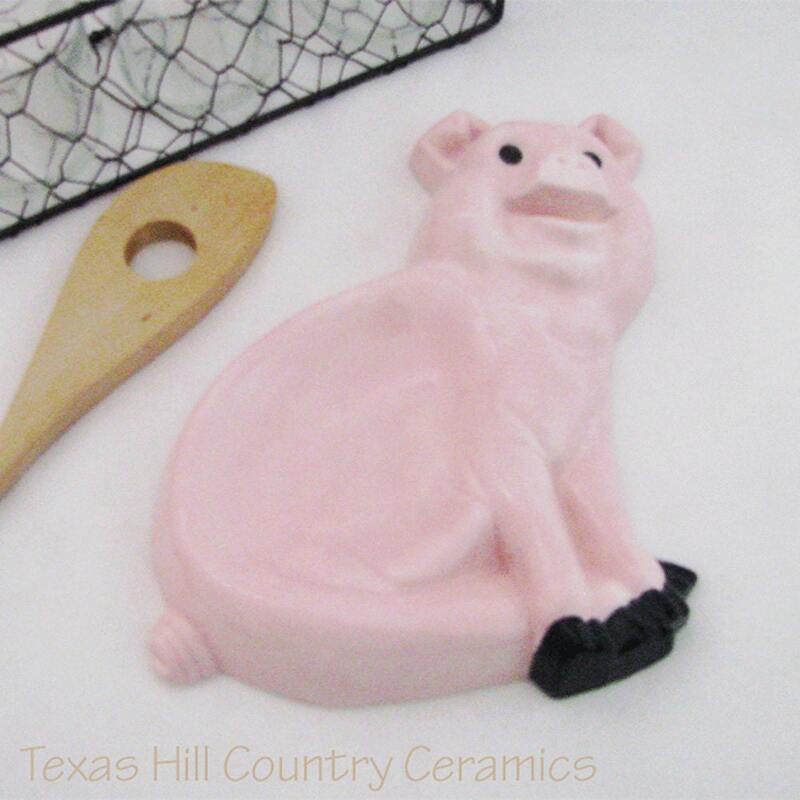 This medium size pink pig spoon rest will help you keep your stove or kitchen counter tops clean and keep spills or messes to a minimum. 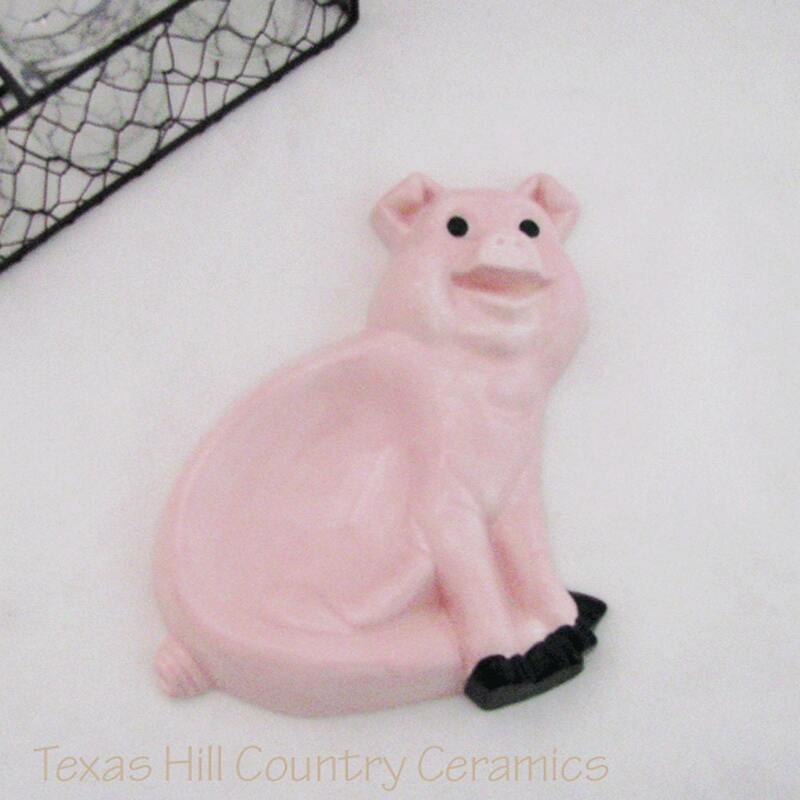 This pig spoon rest is great for adding to country kitchen decor. This spoon rest is made of domestic ceramic earthenware and finished in lead free glaze. • 5 1/4 inches wide. • The area for the spoon or kitchen utensil is generous measuring 3 inches x 3 inches. This ceramic pig spoon rest is made of slip cast ceramics using a plaster mold for uniformity, it is kiln fired a minimum of 2 times. All ceramics I sell are cast by me in my shop, the clay slip used is from the USA as are the glazes. This pig spoon rest is finished in a pink underglaze, the feet and eyes are black, all underglaze and glaze used is non-toxic and food safe. 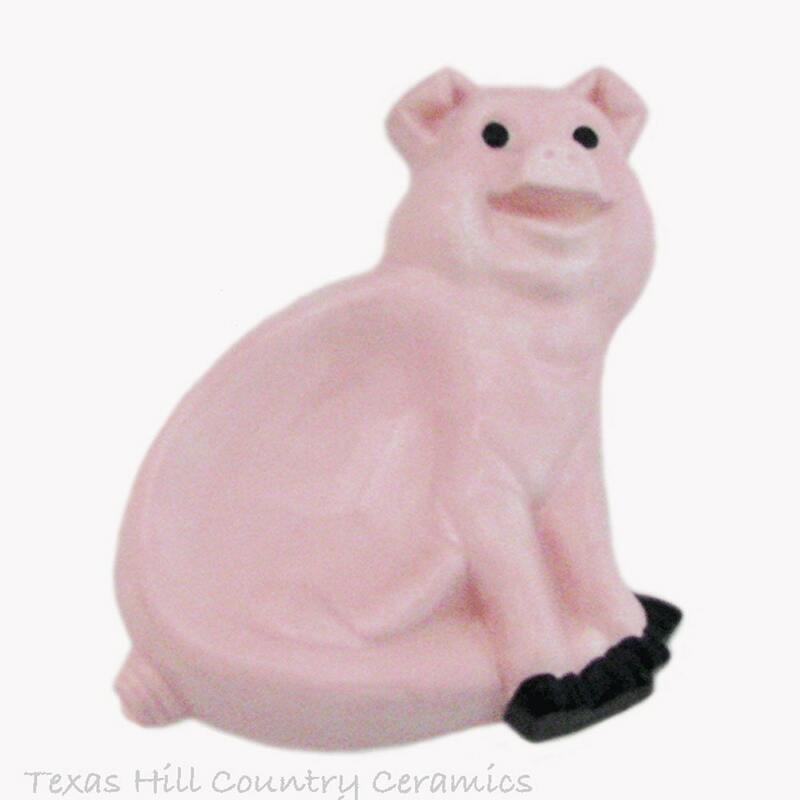 This pig spoon rest is dishwasher safe.